After years of careful investigation and the review of some 200 scientific studies, the U.S. Food and Drug Administration today reaffirmed its view that dental amalgam is a safe, effective material for use in dental restorations. The FDA ruling classifies encapsulated amalgam as a class II medical device, which places it in the same class as gold and composite fillings. The ADA has supported a class II designation for amalgam since the FDA first proposed it in 2002. "The FDA has left the decision about dental treatment right where it needs to be—between the dentist and the patient," said Dr. John S. Findley, ADA president. Speaking for the FDA today at a lunchtime news conference was Dr. Susan Runner, acting director of the agency's Division of Anesthesiology, General Hospital, Infection Control and Dental Devices, FDA's Center for Devices and Radiological Health. "The best available scientific evidence supports the conclusion that patients with dental amalgam fillings are not at risk for mercury-associated adverse health effects," said Dr. Runner. She went on to say that "long-term clinical studies in adults and children aged 6 and older with dental amalgam fillings have not established a causal link between dental amalgam and adverse health effects." Dr. Runner noted, too, that the FDA explored potential health effects of dental amalgam in developing fetuses, breast-fed infants and children under age six. Although the research on these populations is more limited, she said, "the scientific evidence that is available suggests that these populations also are not at risk." Some patients, she noted, have an allergy or sensitivity to the mercury or other metals in dental amalgam. 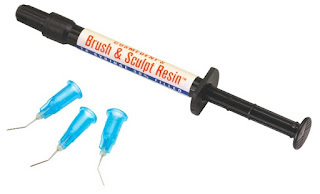 Such patients may develop "contact reactions" within the oral cavity. To address the needs of these patients, said Dr. Runner, the FDA is placing special controls on dental amalgam to help provide "reasonable assurance" of its safety and effectiveness. These special controls include recommended performance tests to ensure that essential information is provided to the FDA when devices are submitted for evaluation. The special controls also instruct manufacturers to add language to their product labeling tTo read the FDA's complete media statement on dental amalgam, please visit fda.gov. 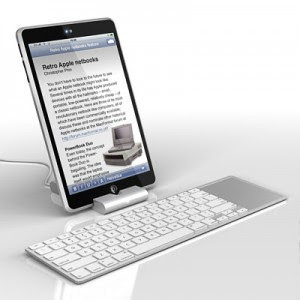 For quite some time now, the rumors have swirled that Apple is working on some type of tablet. These rumors have been met with either denials or silence by the gang in Cuperino, but now new rumors indicate the much anticipated device could be on the near horizon. The idea is a device that is larger than an iPod Touch and carries more functionality while maintaining the Touch's ease of use and touchscreen. Apple is said to also be in discussion with publishers to create content to be read on the device ( a la the Kindle). 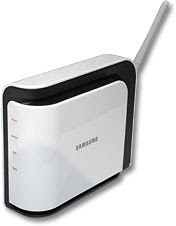 It will not have a phone connection but should be able to support wireless broadband adapters that are used on laptops. Speculation is that the device will be announced in September when Apple normally announces new iPods and will be available for the Christmas buying season. I'm inclined to believe this one since the rumors are so rampant at this point. Even the Financial Times of London has entered the speculation game on this one. No word on price, memory, or anything else yet. I'm persoanlly ready to call this one confirmed. Epocrates continues to evolve and improve their database products for healthcare professionals. Their iPhone product, in particular, has been updated and expanded several times since its launch. Here is the latest rundown of features and benefits. If you have an iPhone, you should check this out. Medication Information — Review continually updated prescribing and safety information on over 3,300 branded and generic prescription drugs, hundreds of over-the-counter products, and hundreds of alternative (herbal) medicines and dietary supplements. InteractionCheck — tap the "Interactions" tab and enter up to 30 drugs to check for interactions. Disease Information and Images — Access in-depth diagnostic and evidence-based treatment information for hundreds of diseases and conditions, including high-resolution disease images. This peer-reviewed content was developed in collaboration with the BMJ Group. Pill ID — Identify a mystery drug by tapping the "Pill ID" tab and entering its physical characteristics such as color and size. Infectious Disease Treatment Guide — gives you treatment guidelines and recommendations for hundreds of infectious diseases, linked to drug monographs. Diagnostic and Lab Tests — Get help with lab preparation, interpretation, and next steps. Search by Class — Search for a drug by its name or tap “Browse Drugs, Diseases, Labs…” and choose “Drug by Class” to find a drug by its classification. Tables/Calcs — Additional association guidelines, references and medical calculators to help you every day. Formularies — click on "My Account" at www.epocrates.com and select "Edit Formularies" to add free health plan, hospital, and Medicare Part D insurance formularies. DocAlert® messages — timely clinical news appears each time you sync. SANTA CLARA, Calif., July 21 /PRNewswire-FirstCall/ -- Align Technology, Inc. (Nasdaq: ALGN) today provided an update on the a lawsuit brought by Ormco Corporation (Ormco) against Align Technology, Inc. (Align) in the U.S. District Court for the Central District of California (District Court), which was tried by jury June 9 through June 25, 2009. As previously disclosed, on June 26, 2009, the jury delivered a verdict against Align. Ormco alleged that Align infringed claims of Ormco's 6,616,444 patent. Align claimed non-infringement, invalidity, as well as unenforceability of the patent and equitable defenses. The jury found the claims asserted by Ormco in the 6,616,444 patent to be infringed and valid. The jury also issued an advisory verdict that Ormco did not engage in prosecution laches or unclean hands, equitable defenses raised by Align. The jury only determined liability. Any monetary damages will be determined in a later trial, which has not been schedule, but would likely occur in early 2010. The jury verdict does not preclude Align from selling its Invisalign System. We have not accrued any liability for the judgment related to the Ormco litigation as such amounts are not reasonably estimable at this time. This is due to a number of factors, including: that the Court has not yet entered judgment; that discovery regarding possible damages is a lengthy and time consuming process involving testimony of experts and has not yet begun; and that determining a reasonable royalty rate is highly fact specific and there are many complicated factors to consider in this case. On July 13, 2009, Ormco filed a motion for permanent injunction against Align seeking to enjoin the sale of the Invisalign System through the January 2010 expiration of the 6,616,444 patent, as well as other injunctive relief including the destruction of all material, including software, created by Align from September 2003 to the present, the discontinuation of certification programs and the decertification of doctors certified from September 2003 to the present and the destruction of sales representatives' records developed during this time period. The Court has scheduled a hearing on the motion for permanent injunction for August 17, 2009. Ormco seeks unusual injunctive relief that we believe is unwarranted and not supported by the law or facts of the case. Align will contend that an injunction would cause irreparable harm to Align, its employees and those doctors who include Invisalign as a large part of their practice, and would interrupt patient treatment and services currently underway. In addition, a balancing of hardships weighs heavily in Align's favor as the issuance of the injunction would require Align the cease the sale of its sole product, the Invisalign System, while the denial of the injunction does not harm Ormco. Finally, any harm Ormco claims to have suffered would be sufficiently compensated by money damage. For these reasons, we strongly believe that Ormco's motion for a permanent injunction should be denied and we will vigorously oppose the motion. In the unlikely event that the Court grants a permanent injunction, we would immediately appeal to the Federal Circuit Court of Appeals and seek to stay the injunction. Align has had ongoing patent litigation with Ormco, since 2003 when Ormco sued Align for patent infringement and Align won a sweeping summary judgment. Ormco appealed that decision and in August 2007 the Federal Circuit Court of Appeals ruled that 86 of Ormco's 92 claims (related to 6,616,432, '243, '861 and '444 patents) were invalid and not infringed by Align. Ormco pursued the six remaining claims, which relate generally to a process of gathering and organizing tooth data, in the lawsuit against Align in the U.S. District Court for the Central District of California. able in 1 gram syringes. Well, I knew this had to be coming. When I got my Palm Pre I was stunned that when I plugged it into my MacBook Pro, iTunes saw the device as an iPod. I can use iTunes to transfer and manage the music on the Pre. I figured as soon as Apple saw that, they'd have a conniption, and I was right. The latest update to iTunes (version 8.2.1) removes the Pre's ability to connect. Apple calls this "addresses an issue of verification of Apple devices" which is Applespeak for "we're not letting anyone else have access to iTunes". If you have a Palm Pre and like the iTunes integration, refuse the iTunes update (I did). However that are lots of ways to get the music on your Pre so if you want to or already have updated, you can simply connect to your computer and drag and drop the files into the music folder. Will Palm now provide a Pre update that will once again allow access? This could be an ongoing battle. The folks at the University of Alabama at Birmingham have come up with a great idea. The Nintendo Wii has accelerometers in the controller, so why not use them to help teach the ideal way to do CPR? This is one of those great ideas that come from thinking outside the box. The American Heart Association has even said it will make the program open source and available for free from their website when it is completed. UAB Engineering Students use the Wii for CPR from uabnews on Vimeo. BIRMINGHAM, Ala. - The American Heart Association has pledged $50,000 to fund the work of University of Alabama at Birmingham (UAB) biomedical engineering undergraduate students who are working to develop a computer program that teaches CPR using hand-held remote controls from the Nintendo® Wii video game console. Students James McKee, Jack Wimbish, Haisam Islam and Zach Clark began work on the project as seniors at UAB. Along with faculty advisers Greg Walcott, M.D., associate professor of medicine, and Jack Rogers, Ph.D., associate professor of biomedical engineering, the team has been developing the Wii CPR technology for the last seven months. Based on an idea initiated by Walcott, the technology is a computer program that can be downloaded on home computers and synched with the wireless technology of the Wii remote to teach users proper CPR technique. "We began talking about the possibility of using the Nintendo Wii to teach CPR last January, and that is when we initially contacted the American Heart Association about the idea," Walcott said. "The Heart Association wanted a better sense of how it might work, so we assigned the research to our senior year biomedical engineering students this past spring semester for their senior project." The UAB team worked on the Wii CPR project for its Design in BME biomedical engineering course, which required the students to successfully design and construct a prototype of the technology for real-world use in order to pass the course. After a successful class presentation in May, which showed the students' progress and the real potential for the technology, the American Heart Association contacted UAB to offer the education grant, Rogers said. "The Heart Association's high interest in our students' innovations points to potential of this project and how it fits in with its desire to deliver reliable CPR education to the masses," Rogers said. 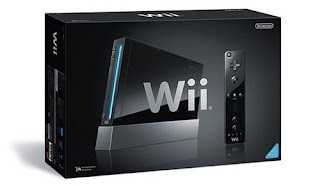 When completed, the UAB Wii CPR program will become available on the American Heart Association Web site as an open source code download, which would make it free and available to anyone with Internet access. The UAB team says it could complete its program development by early fall of 2009. For years I've used the Orascoptic Zeon LumenArc system which is an auxiliary lighting system composed of the LumenArc light box and a fiber optic cord that led from the box to a light situated on my Orascoptic 4.8 TTL surgical telescopes. Brightness: Amazing. 7000 foot candles at high power. This is 2000 foot candles brighter than the LumenArc bulb system. Ease of use: 3 brightness settings with buttons that can be found easily by feel and an orange curing filter means my light doesn't set my composites and I always have just the right amount of light. Convenience: Not being tethered is a huge factor. Also the cord is light and easily tolerated; much more so than the fiber optic cable I was using previously. Battery pack: I bit heavy at 8.5 oz but well worth it since it provides all day power for the system. 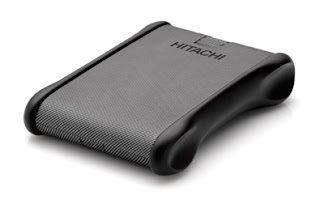 I wear cargo pant scrubs and the battery pack is easy to place into one of the leg pockets. The pack comes with an included clip so that it can also be worn on the waist. Battery life: It's as bright at the end of the day as at the beginning. The battery will power the light (even at its brightest setting) for up to 7 hours. Recharging: Battery pack recharges in 3 hours or less and the unit can be used while the battery pack is attached to an outlet in a worst case scenario. At the end of the day I remove the LED cord to my glasses and plug the pack into its charger. Overall: A home run product and highly recommended. If you came and took it away from me, I'd need another one tomorrow! For those of you who have been considering a Kindle, but didn't want to part with the cash, here's a deal that may make it a bit easier for you. Amazon has just dropped the price of the latest Kindle version (2.0) to $299. My only complaint with the new device is that it doesn't have an SD slot like version 1.0. Other than that it's a better and much thinner device. By ordering now you'll have saved about $100 over the price of those who ordered the day it became available. The Kindle is an amazing thing to own. I absolutely love mine and can't imagine being without it. Add to that the point that I was actually skeptical about owning one until I got my hands on mine. I thought it would be a "toy" and not much else, but now I carry mine with me almost anywhere. The Amazon Kindle is highly recommended!!! Genius Launches 2 New Dual-Platform Graphics Tablets and They're Less Than $100 Each! If you like using a graphics tablet or if you have a patient education system that allows drawing like Guru, this is a great way to get more out of that software for a reasonable price! MIAMI (July 7, 2009)– Genius (www.geniusnetusa.com), a brand division of KYE Systems Corp., today announced new additions to the company’s extensive line up of digital tablets, the EasyPen i405 and MousePen i608, for business professionals, graphic designers and artists on-the-go. The tablets are dual-platform, working on both MACs and PCs, and come with a variety of useful software. The EasyPen i405 has 28 programmable “Hot-Keys”, while the MousePen i608 has 29, for instant and easy access to common Office and Internet functions. The cordless pen features 1024-level pressure sensitivity and two buttons for controlling shapes and thickness while drawing or writing. The EasyPen i405 has a 4” x 5.5” working area for easy transport and use in a car, coffee shop or any type of mobile office. The MousePen i608 has a larger 8”x6” working area and comes with a cordless mouse with integrated scroll wheel for ease and convenience while using the tablet. Both tablets can be used to write, draw, sketch and/or sign documents, saving time and creating a great solution to paper waste. Users have the ability to edit their photos, make comments, personalize documents and navigate their workspace for the perfect personal touch. It is ideal for creative types who like drawing, bloggers, artists, and anyone craving a digital pen as opposed to a keyboard, which only allows typing. 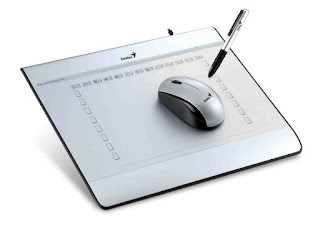 Priced at $79 MSRP (EasyPen i405) and $99 MSRP (MousePen i608), both tablets come bundled with PenNotice, Annotate for Word, Commander, PenMail, and PenSigner, providing useful and convenient functions for presentations or handwritten notes. Interested shoppers can go to NewEgg.com, Amazon.com, Tiger Direct, Buy.com or other retailers and distributors listed at http://www.geniusnetusa.com/buy.php. More information on all of Genius’ tablets visit www.geniusnetusa.com. Sources now indicate that Google has announced it is working on an Operating System and is already working with PC manufacturers. This amazing news leaked onto the web last night. The search giant is currently going after the netbook market and is basing the OS in part on its browser Chrome which has been available for free download for several months. The Net is abuzz with all kinds of stories about it. One from PC World can be seen here. This looks to be a major story for the long run. Google is now in direct competition with Microsoft and is known for innovation. Where this heads is anyone's guess right now. The good people at Sonicare have done it again! They've built a sonic toothbrush designed specifically for kids and it's designed to grow with them. The device is designed for the grip of a child's hand. 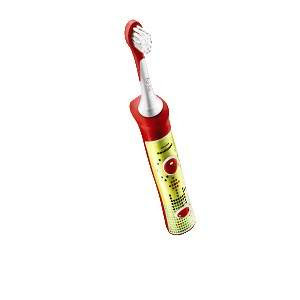 It has a quadpacer which gradually increases in time so that the child will enjoy brushing with it and not realize that soon they are brushing for the recommended 2 minutes. The faceplate is interchangeable and comes in 3 different styles so that they can be easily switched out whenever you child wants. I've had my evaluation unit be tested by a reliable child and the response has been phenomenal. The testimonial is "This toothbrush rocks! It's the best toothbrush I've ever used!" The Sonicare for Kids should be available now. I'm recommending them to my kid patients and I think you should too! 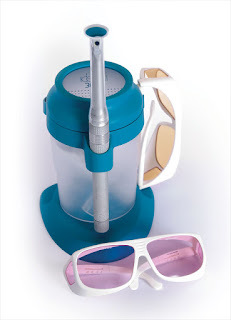 The device is currently available only to dental professionals, but should be available to consumers in late August. I'm really fond of F-Secure. The company provides excellent antivirus and anti-spyware software. I've used them for several years and have always been very happy. We all take regular backups of our important files, right? care of this important aspect of data security. files, either automatically or by selecting the files you need. Could Periodontal Disease be linked to Erectile Dysfunction? Although there are many different specialties in medicine, our goal is all the same... the optimum health of the patient. To that end, the old adage of "the knee bone is connected to the ankle bone" holds true. All bodily parts are connected and frequently when one has a problem, it can affect others. In recent years researchers have begun to find the pathogens that are linked to periodontal disease in other parts of the body such as atherosclerotic plaque in the blood vessels of those suffering from coronary artery disease. While this does not necessarily mean that having periodontal disease predisposes one to have coronary artery disease, it is interesting that oral bugs are in the heart, and the subject continues to be researched. Perhaps one day there will be evidence that a healthy mouth means a more healthy heart, but those of us who love science will let the researchers determine that. Along these same lines however, comes another thought about how all our parts are connected. The theory goes like this: "IF there is a possible link between periodontal disease and the narrowing of blood vessels in the heart, then could there also be a link between periodontal disease and narrowing of the blood vessels in parts of the male anatomy?" While it's just a theory, it's an interesting thought. One group of researchers is already looking into this problem. For all the details, click here. • Online video for distribution via YouTube, etc. “Oral Healthcare Can’t Wait promises to be a very ambitious campaign, with the ultimate goal being to sustain and improve oral health in America,” explained Price. “I’m very grateful for the level of commitment and agency resources that Lanmark president Howard Klein has pledged to this campaign, as well as the support of our leading dental industry publications, such as Compendium, Dental Economics, Dental Products Report, Dental Product Shopper, Dentistry Today, Dental Tribune, DentalTown, Dimensions of Dental Hygiene, Inside Dentistry, and RDH Magazine. In addition, the leading dental distributors Benco Dental, Burkhart Dental Supply, Darby Dental Supply, Henry Schein, Iowa Dental Supply and Patterson Dental have pledged their support to help launch this important initiative. We will also be counting on the support of DTA members in other areas, such as funding for direct-to-consumer advertising in national newspapers, television, and radio, etc. If we work together, we can make a difference.” For more information regarding the Oral Healthcare Can’t Wait Campaign, visit www.oralhealthcarecantwait.com. To pledge support, contact Dental Trade Alliance CEO Gary Price at 703-379-7755. Anyone who knows me knows I'm a gadget guy. And what's a better gadget than a watch? Obviously because of my gadget infatuation, I've also got a serious watch infatuation as well. 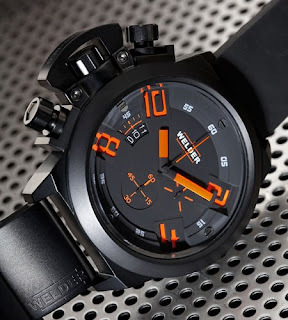 Here's a watch that has a great look and a great story behind it as well. It seems that in 1942 in Italy, the Officine Fotana worked up some designs for watches that could be easily read in the low light conditions of the country's U-boat commanders. Although the watches were never actually created that late in World War II, the designs were kept. Now after all that time, the watches are being manufactured and sold. The design above is the K24 3300 and it retails for about $900. For more details on all the designs go to Welder America.